Eleanor James is a young woman whose life has changed dramatically, thanks to the end of the Civil War. The North has been victorious and the men—those that have survived—are returning home in droves. Scarred by the horrors of war, they return to their broken lives to pick up the pieces—pieces that Eleanor and her closest friends have been holding on to while they have been away. Suddenly, Eleanor and her friends have found themselves without jobs and without a certain future. 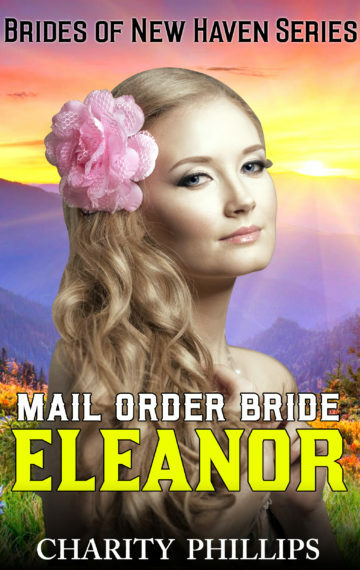 Eleanor’s purpose is undecided; she can’t say what she wants from life, but when her dear friend suggests that the four of them make a pact to find love and adventure out on the frontier as mail order brides, sudden hope blazes brightly within Eleanor. Might she find something so powerful as love? Can she take that risk? And if she does, will the dangers that await her be more than she bargained for? ***This is the first book of the Brides Of New Haven series. Each book within the series is a STANDALONE story and may be read without having read the other stories first.